This essay focuses on the possible ramifications, both negative and positive, of a Trump presidency, from the perspective of Trump as the President-elect. Because Trump has no experience in public service, much of the paper is speculative and focuses on what is known about the people Trump is selecting for his cabinet. The paper acknowledges that Trump, a Republican President, will be supported by a Republican House of Representative and Senate in Congress, as well as being in the position to support at least one, if not more, members of the Supreme Court, but also acknowledges that Trump may not have Republican congressional support for all of his policies. Will it Unite the Country or Destroy the Union? As of November 29, 2016, Donald Trump was the President-elect, though recount efforts in three swing states and allegations of Russian interference in the elections made it possible, if not probable, that he would not be confirmed by the electoral college. Following an election where Trump lost the popular vote by over 2,000,000 votes, but won enough electoral votes to become the President-Elect, emotions were high. Trump fans were thrilled that he won the election and began celebrating the idea that Trump would carry through many of his campaign promises. Those who opposed Trump were surprised and alarmed that he won the election and began preparing for what would happen if Trump intended to carry out his campaign promises. The public response was significant and somewhat dramatic. Trump’s campaign was supported by white nationalist and other racist groups, and over were reported in the 10 days following his election (Miller & Werner-Winslow, 2016). Anti-Trump protests occurred in major cities throughout the United States, and, while many of those protests were peaceful, some of them were not peaceful. For example, anti-Trump protests in Portland contained enough criminal activity for the local police to call them riots (Ansari, 2016). It seemed fair to describe the country being in turmoil and seemed unlikely that the country would come together and heal, which was advocated, not only by Trump, but also by his rival Hillary Clinton in her concession speech. These post-election events made it clear that people had very certain opinions about the direction that Trump’s presidency would take, but these beliefs were based largely on Trump’s campaign promises. Trump was the only candidate for President in recent American history without any history of political service. Therefore, supporters and detractors had to rely on his campaign promises to try to examine what a Trump presidency would entail. These promises ranged from populist-leaning promises to bring back the coal jobs and revitalize struggling rural American areas to authoritarian-leaning promises to bring criminal charges against his political opponent Hillary Clinton (Gorman, 2016). 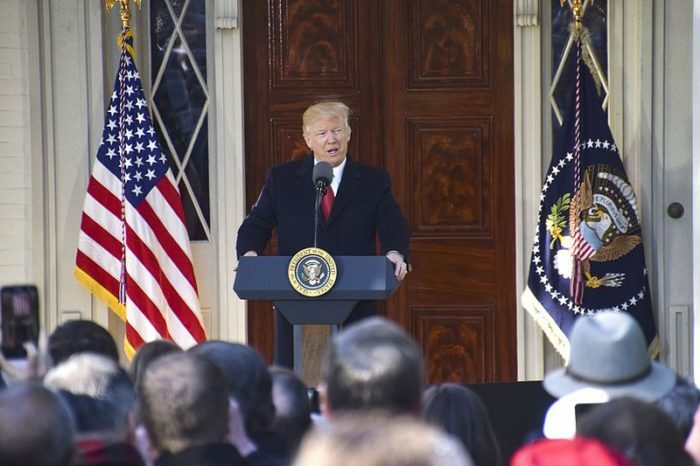 However, the promises that seemed to have the most appeal for Trump supporters and simultaneously frighten his detractors the most were focused on issues of civil rights and human rights, including: Trump’s promise to build a border wall between the United States and Mexico; Trump’s promise to appoint Supreme Court Justices that would repeal the decision in Roe v. Wade; Trump’s promise to immediately stop Muslim immigration; and Trump’s promise to repeal and replace Obamacare. In the immediate aftermath of his election, Trump walked-back his position on many of his campaign promises. After meeting with President Obama, Trump praised parts of Obamacare and acknowledged that it would be far more complicated to repeal the law than he acknowledged while campaigning. Although he did not abandon the idea of building a border wall, his staff acknowledged that it was unlikely to be a wall along the entire border. However, Trump seemed to remain committed to appointing Supreme Court Justices that would repeal Roe v. Wade. In addition, his team had not dismissed the idea of halting Muslim immigration and even suggested that a Muslim registry would not only be permitted, but that there was precedence for such a registry in the internment of Japanese Americans during World War II (Bromwich, 2016). Furthermore, there was a general consensus that he simply could not carry out other campaign promises, such as bringing back coal jobs or manufacturing jobs because the free market simply would not provide a market for those goods. Because campaign promises are often simply vote-getting tools, a better way to predict how a politician will govern is to examine that politician’s history. Trump had no history of public service, which means that examining his cabinet picks became one of the only ways for people to attempt to predict the path of his presidency. Although Trump had promised to “drain the swamp” if elected, his cabinet picks were composed primarily of people who had either been associated with D.C. politics or who had been participants in big-business. These included: former Goldman-Sachs partner Steven Mnuchin for Treasury Secretary; Elaine Chao, Labor Secretary under George W. Bush and wife of Mitch McConnell, as Transportation Secretary; Tom Price as the Secretary for Health and Human Services; Seema Verna as the administrator for the Centers for Medicare and Medicaid Services; Don McGahn as White House Counsel; K.T. McFarland as Deputy National Security Advisor; Betsy DeVos as Secretary of the Department of Education; Nikki Haley as the U.S. Ambassador to the United Nations; Mike Pompeo as CIA Director; Jeff Sessions as Attorney General; Michael Flynn as National Security Advisor; Steve Bannon as Chief Strategist; and Reince Preibus as Chief of Staff. Repealing Obamacare was one of Trump’s major campaign promises and his choice of Tom Price, a very vocal Obamacare opponent, suggested that he intended to keep that promise. However, his choice of Seema Verna as the administrator for the Centers for Medicare and Medicaid Services was interesting. Verna had a history in private healthcare, but was also instrumental in expanding Medicaid in Indiana. Therefore, it seemed likely that the Trump administration would make efforts to repeal parts of Obamacare, but would also try to make healthcare more affordable. Whether they could be successful was questionable; many of the negatives associated with Obamacare were linked to the private healthcare market. Trump’s cabinet picks led to much speculation about how the administration would treat minorities. Steven Bannon founded Breitbart News, which became a mouthpiece for the white supremacist movement and helped it try to reframe its message to sound less racist by spreading the name alt-right. In addition to providing a mouthpiece for some of the more racist elements of society, Bannon had been accused of making anti-semitic and anti-black remarks. In addition, Jeff Sessions was once rejected as a nominee for a federal judgeship because of racist attitudes. He is an opponent of civil rights legislation and the Voting Rights Act. Therefore, many Americans were concerned that Trump’s election would mean a return to a more racist America. Many of Trump’s supporters believed the same thing; he was the first Presidential candidate to be endorsed by the KKK and his election has been celebrated by many white nationalist and white supremacist organizations. In addition, the LGBTQ community was worried about the impact that a Trump administration would have on gay rights. Although Trump said that gay marriage is decided law, his Vice President, Mike Pence, advocated for anti-gay legislation while governor of Indiana. Although most LGBTQ activists did not anticipate an immediate direct threat to gay marriage, they believed that many other civil rights will be threatened. For example, religious freedom laws supported by Pence would have allowed people to discriminate against gays. In addition, Pence previously endorsed conversion therapy, a controversial therapy aimed at making gay people straight, which has been condemned by all major American medical organizations. Predicting how a Trump Presidency would impact America proved to be difficult. Trump’s own inconsistent statements exacerbated those difficulties. In addition, although Trump, a Republican President, would have a Republican House of Representative and Senate in Congress, as well as being in the position to appoint at least one, if not more, members of the Supreme Court, it was unclear whether Congress and the Supreme Court would go along with some of Trump’s more controversial ideas. Therefore, speculation about Trump’s presidency ranged from people legitimately concerned that it could approach the horrors of Nazi Germany to people who seemed convinced that Trump’s presidency could incorporate populist aspects and provide a revitalization to rural America similar to the one experienced during Franklin Roosevelt’s New Deal. We hope this example President Donald Trump essay will provide you with a template or guideline in helping you write your own paper on this topic. You are free to use any information, sources, or topics, titles, or ideas provided in this essay as long as you properly cite the information in your paper and on your reference page. Gorman, M. (2016, November 29). Donald Trump’s campaign promises: Keeping score. "President Donald Trump Essay." Aceyourpaper.com. Student Network Resources Inc, 5 December. 2016. Web. 19 April 2019. Student Network Resources Inc. "President Donald Trump Essay." Aceyourpaper.com. 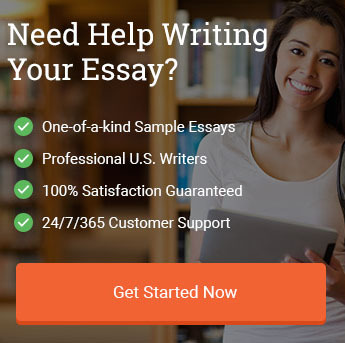 https://www.aceyourpaper.com/essay/president-donald-trump-essay/ (accessed April 19, 2019).